Experience a comfortable rest at the Ramada Limited Roswell, as you travel through southeastern New Mexico, the Land of Enchantment . The Ramada Limited provides hotel lodging for Roswell and the surrounding communities of Ruidoso, Ruidoso Downs, Dexter, Lincoln, Hagerman, Artesia and Carlsbad. Roswell has long been known as the UFO and Alien Research center of the Southwest, and the Ramada Limited Roswell hotel is a great base from which to explore Alien Encounters and all the other numerous attractions of the area. Although well known for alien activity, Roswell has much more to offer to the inquisitive traveler. The Historic District, which contains the Historical Museum of Southeast New Mexico, provides a glimpse into a simpler era, long since gone-by. The New Mexico Military Institute provides a beautiful campus for strolling, and the General Douglas L. McBride Museum. Nearby Lincoln is the site of Billy the Kid's Great Escape and the commemorative museum is well worth a look. Although the area is rich in history of all kinds, the Ramada Limited Roswell features its very own attractions. 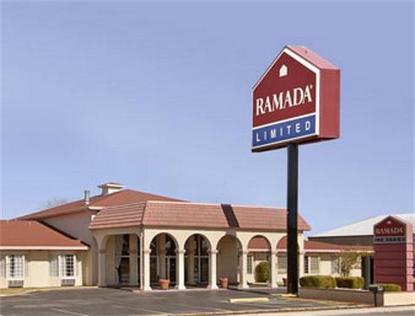 The Ramada is set in a wonderfully quiet neighborhood, with easy highway access. We are just 2 miles from downtown, yet far enough away to be free of the usual congestion, noise, and chaos. The hotel is set around a large park-like courtyard and is centered by a full-sized sparkling Pool - which is enjoyed by both visiting families and business travelers alike. All guests also enjoy our complimentary Deluxe Continental Breakfast, fully equipped exercise room, game room, and guest laundry. All our rooms are larger than usual, contain a coffeemaker, free High Speed Internet Access, large selection of Cable TV channels featuring HBO and Cinemax, Iron and Board, and the new Ramada Signature Shower Experience with the Moen Revolution Showerhead and Citrus Ginger Spa Amenities. Many rooms also contain microwave and refrigerator. When your travel plans take you to the Land of Enchantment, we welcome you to the Ramada Limited Roswell, and look forward to creating a most memorable experience for you.